OUT NOW!!! 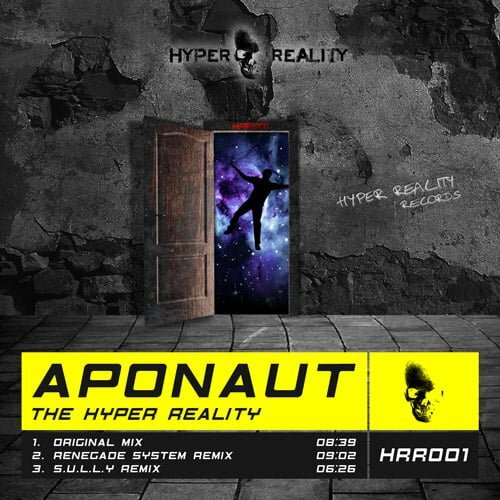 SUPPORT THE HARD TRANCE REVOLUTION AND GET YOUR COPY! Available on Amazon, Beatport, Google Play Music, iTunes, Junodownload, Spotify, DjTunes, Trackitdown, Toolbox digitalshop and many more…. There are many who still long for the golden era of European Hard trance. The intricate melodies, and intensive kicks and bass still send shivers down our spines to date. Due to a lack of new material of this style, we bring you Hyper Reality! With remixes by Renegade System and S.U.L.L.Y! Supported by ADM, Bangerz & Masherz, Chuck-E, Dark Electric, Dave Spinout, DJ Husband, Frank Vanoli, Hakka, Iain Cross, Jake Nicholls, Johan Lecander (DI.FM), Justin Wakefield (German Trance), Kev ‘Smoothound’ Walters, Kian Keen, Loki, Louk, Luca Antolini, Mark EG, Mazzanotti, Nick The Kid, Nomad, Noizy Boy, Pete Kingwell, Quinny, Rinski, Wragg and also liked by DJ Thera, Geck-O and VtheKid. Get your copy and be part of a new reality! © 2019 Hyper Reality Records.